Residential customers use an average of about 1,000 kWh of electricity per month, with usage higher during hot summer months and lower in the winter. View tables show monthly average usage in kWh by month for residential customers starting in 2000. Tables include monthly fuel charges and electric bill amounts.  Austin Energy fuel types include coal, natural gas and oil, nuclear, and renewable. We also purchase some power from other power generators. Browse the percent of power generated annually by each type of fuel. Austin Energy has set a goal that 35% of energy delivered to customers will come from renewable resources by 2020. During fiscal year 2012, about 15% of the power delivered from Austin Energy to its customers came from renewable resources, or 2 billion kilowatt hours. Purchase power agreements for wind, solar and biomass power will bring our renewable portfolio to 23% by the end of 2013.